After you run either a Mission or a Gameshow, click on Reports on the top of the screen and then click on Student Gaps. If any of your students have triggered the remediation tool by getting certain questions incorrect you will see them tracked here. 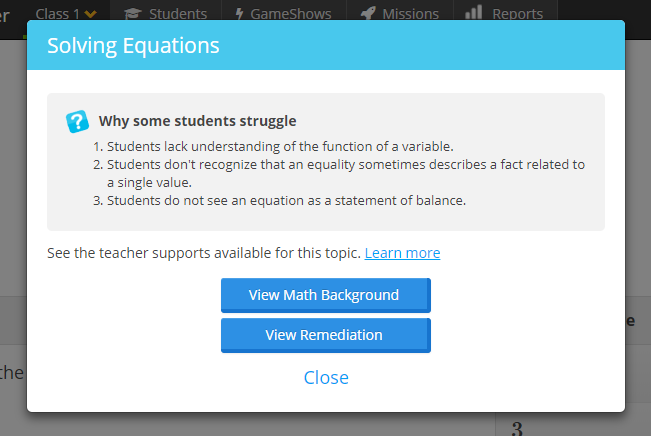 To access the remediation documents that relate to the topic, click on View Teachers Support. To view the student activity that relates to the topic, click on the individual student name. You will be taken to a page that looks like the one below that includes activity and another link to the remediation documents. 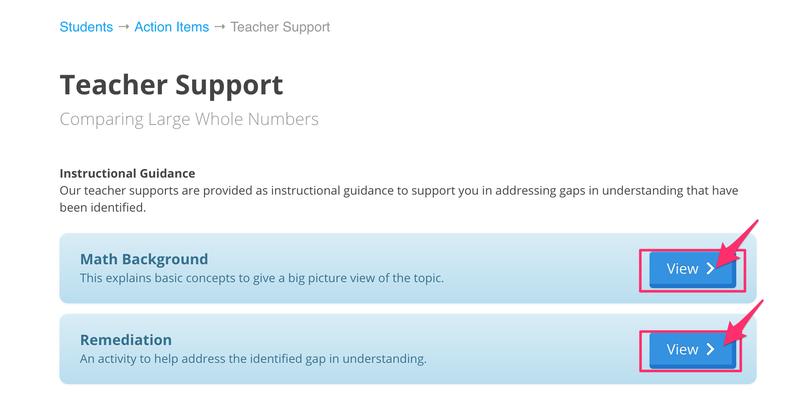 Once you click on the View Teacher Support button on either the action items page or off of the individual students page you will be brought to the teacher support documents. 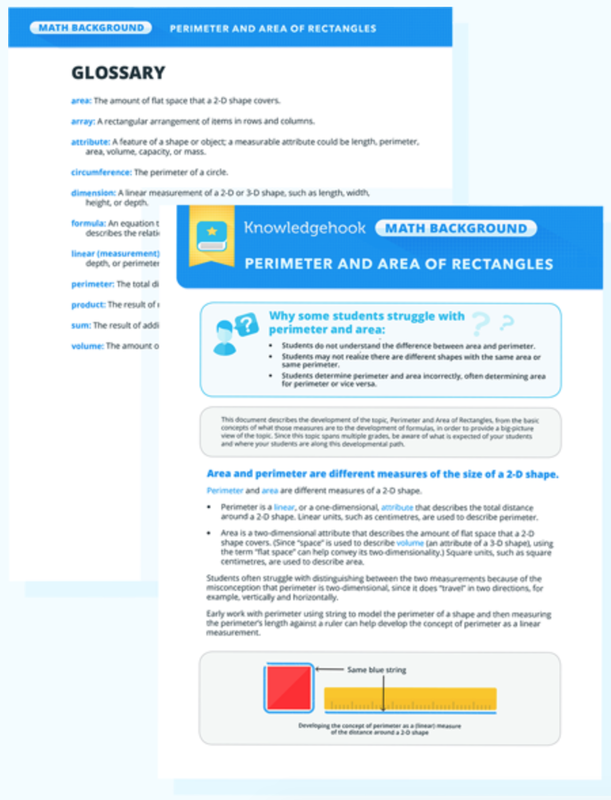 Here you can access the remediation documents and the math background. The Remediation questions can be assigned to students in order to assess individual students’ specific remediation needs. There is also an accompanying guide with descriptions of why each question has been included (i.e. which specific content it addresses) and important things to observe, as well as a set of answers. 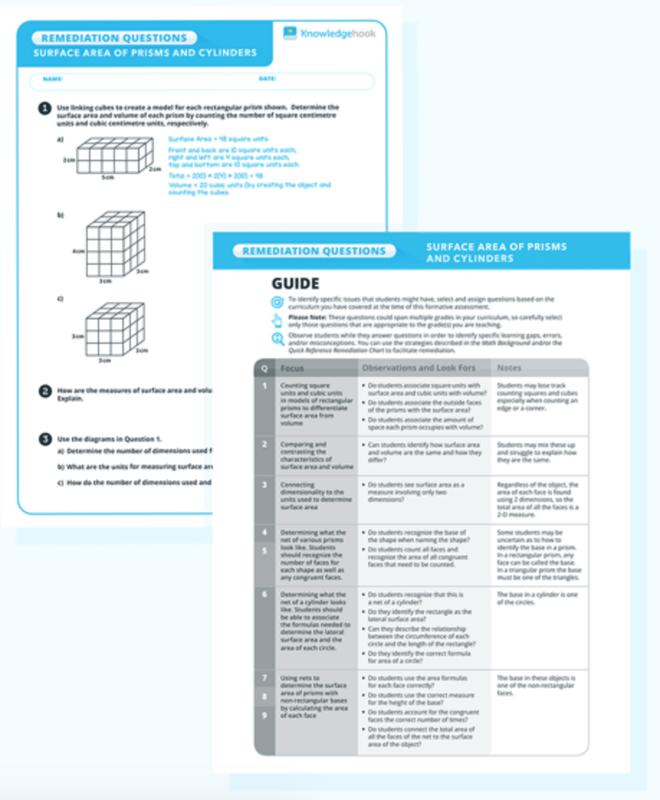 Math Background Documents are organized by pedagogical and mathematical big ideas and are designed to help teachers make the mathematics they are teaching as meaningful as possible for their students. The document will often cover material spanning multiple grades in order to provide you with some perspective on related prior and future learning. A glossary of terms specific to the topic is included. As you browse our content, you'll see this lightbulb, indicating that your students' responses to this question will be analyzed to uncover potential gaps in understanding. Click the lightbulb to quickly reference the common reasons that students struggle with this topic, and access resources that were developed by a team of expert math educators and backed by research. 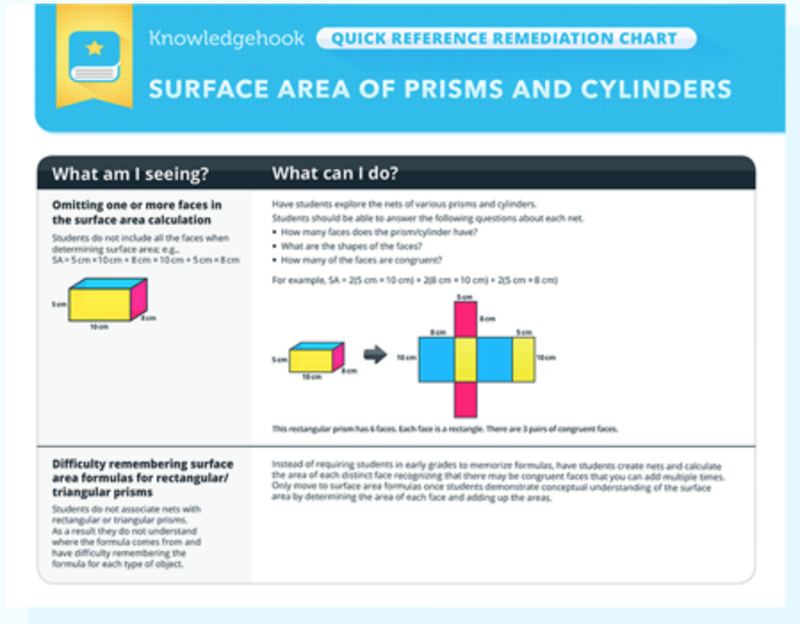 This is a way to access the information described above in the remediation docs and math background, before you teach the lesson to your students you can already have an idea of what problems to look for and where they may go wrong.